Kyary Pamyu Pamyu fans, hold onto your hats as new information regarding her new album, information plus new pics have just been released. The new full length album will be releasing on June 26 and will be titled “Nanda Kore Ku Shon” or Nanda Collection. The album will feature 12 tracks which have been produced and written by Yasutaka Nakata responsible for groups, capsule and Perfume, to name a couple. We also know that the album will include a couple of previously released tracks, namely “Fashion Monster” and “Invader, Invader”. 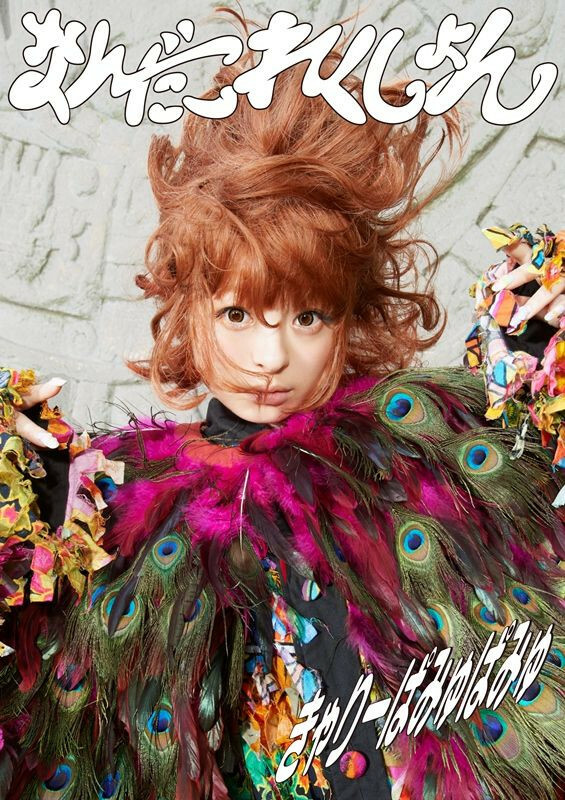 You can see the album art below which show Pamyu in a peacock attire with some beautiful colours in there as well. Jpopasia.com have released the following translation released by Kyary about her upcoming album launch. And here’s the tracklist for all you curious fans. And as is the usual case with cd’s released in Japan, there’ll be a standard edition and a limited edition.